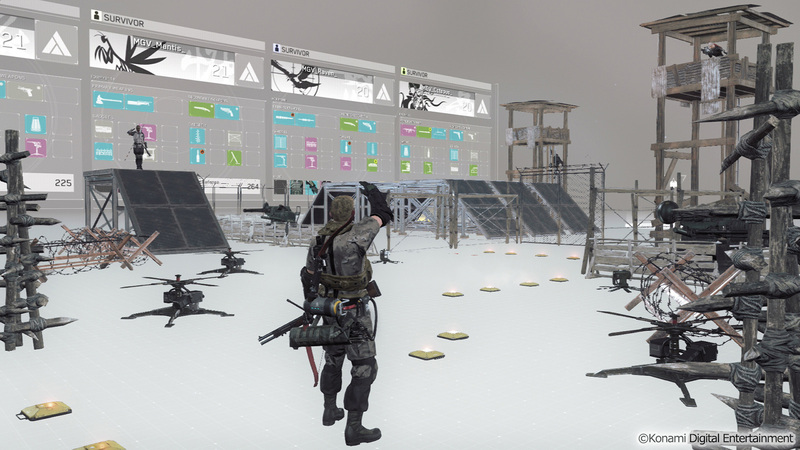 I got to get my hands on Metal Gear SurviVe for several hours and enjoyed the story and Co-op and here I am to write about my impressions. If you haven’t read my Story impressions please go check that out first to get a full grab on what to expect with this game as it is tied to the Co-op deeply through the resources and rewards. Check out this video of my hands on. My video breaks down the core aspect but I wanted to touch on a few things. First I really love how the resources in story and coop intertwine and carry over which give Story driven players a chance to change it up and Multiplayers a incentive to play story. I encourage all to get invested in learning the Co-op just to get all the goodies it offers. There is even Daily, weekly and special events that will happen with some great rewards and materials. Once you get your hands on this game you will realize that team work makes the dream work and some good coordination will make the experience even better as after a few rounds with the same journalist we started to build a system and pattern to our play and it was functioning tremendously. 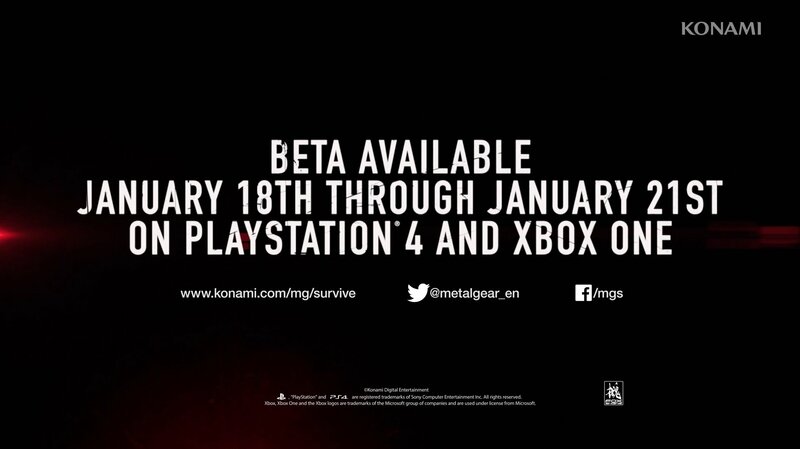 I am excited to play with friends and Family which the beta is out jan 18th if you are reading this go download and play as the open beta is avaiable on Xbox1 and PS4 right now. Things to focus on is these abilities players will get to select. Swing Combo: Number of combo attacks with one-handed weapons increases according to skill rank. Heavy Swing: Unleash a more powerful one-handed attack than normal. Sprint Swing: Perform a special attack with one-handed weapons while sprinting. Combat Step: Perform a side-step while readying a weapon. Dive Attack: Unleash a drop attack directly below you. Only useable when close-range weapon is equipped. Thrust Combo: Number of combo attacks with thrust weapons increases according to skill rank. Heavy Thrust: Unleash a more powerful thrusting weapon weapon attack than normal. Sprint Thrust: Perform a special attack with thrusting weapons. Foot Press: Grab an adversary and kick them in any direction. Quick Hands: Collect resources from enemies, animals, containers, and other objects quicker. Two-Handed Combo: Number of combo attacks with two-handed weapons increases according to skill rank. Heavy Smash: Unleash a more powerful two-handed weapon weapon attack than normal. Sprint Smash: Perform a special attack with two-handed weapons. Stomping Ground: Perform a powerful stomping attack. CQC Counter: Parry an attack and kick the adversary in any direction. Heavy Combo: Number of combo attacks with heavy weapons increases according to skill rank. Heavy Impact: Unleash a more powerful heavy weapon weapon attack than normal. Sprint Impact: Perform a special attack with heavy weapons. Leg Sweep: Trip an adversary. I will be providing alot of great tips, tricks and guides about this game so I hope you can come enjoy it all with me. My youtube channels will stay current with the series and I will have some exclusive interviews and more. 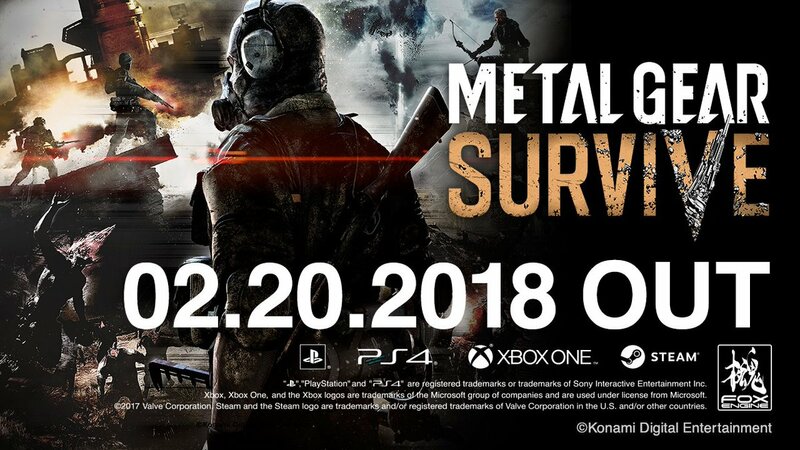 Lock in right here at MagGamer.com for all your Metal Gear SurviVe content. 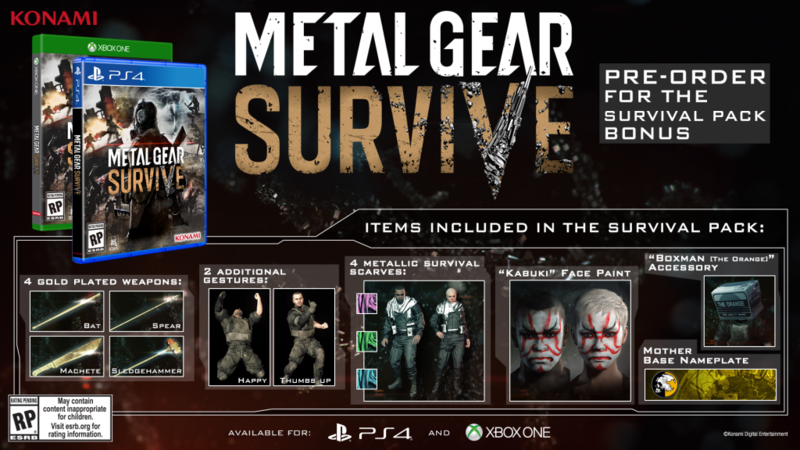 Pre-Order is Live for METAL GEAR SURVIVE on all platforms! 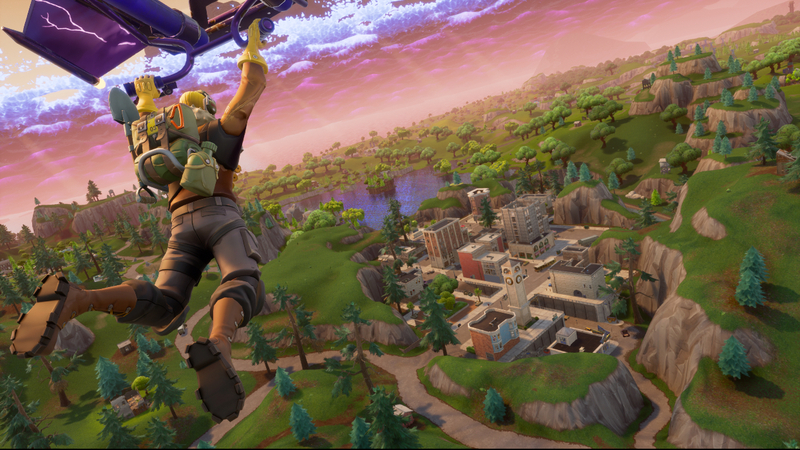 Fortnite’s Battle Royale Map Gets Updated! The Metal Gear Series is my passion so Spin-offs are a fun twist and new experience from the original formula. MGV was a good experience. It was a cool game. Wish it had PVP. We got some videos on this on our channel.